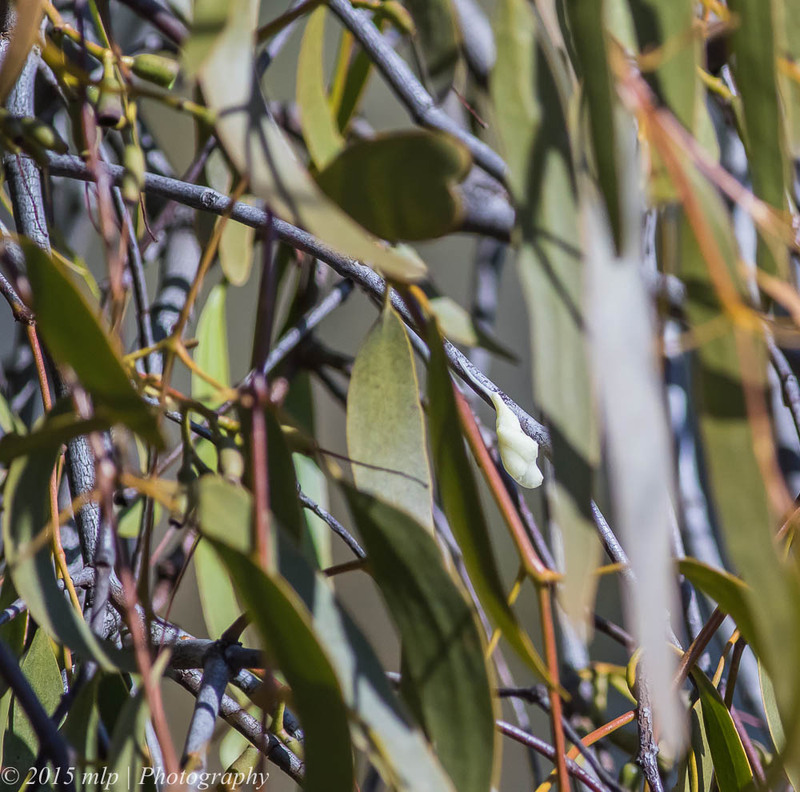 Following on from yesterday’s You Yangs post – The parasitic Mistletoe is also fruiting and the tiny Mistletoebirds are having a feast on the new fruit. 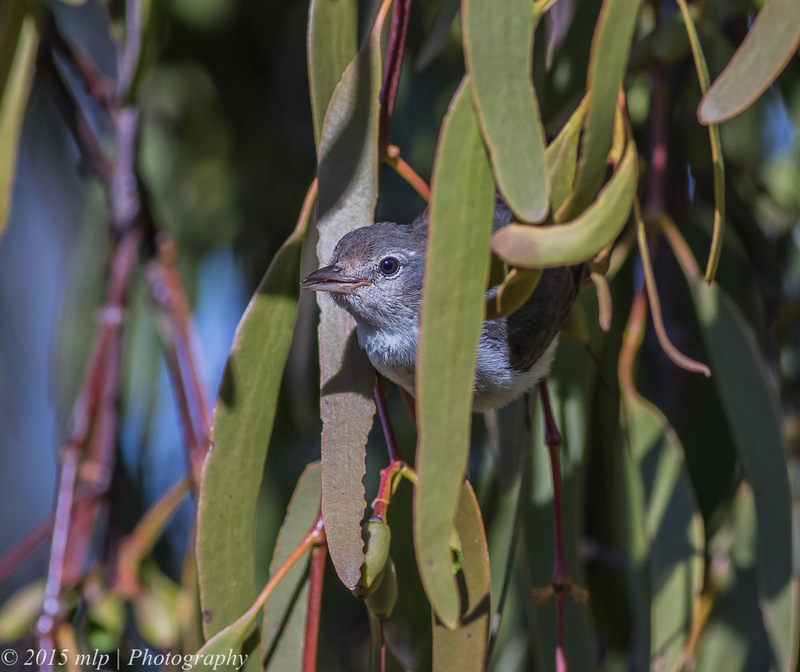 One of the highlights of our photography expedition was watching the behaviour and skills of a few Mistletoebirds as they worked the Mistletoe bushes on the various gum trees. They would select an attached fruit bud and carefully remove its cap and pull out the fruit. It would not just eat the bullet shaped fruit, it would squeeze and twist several times and then when the fruit had released its sticky white secretion, the birds would then swallow it. 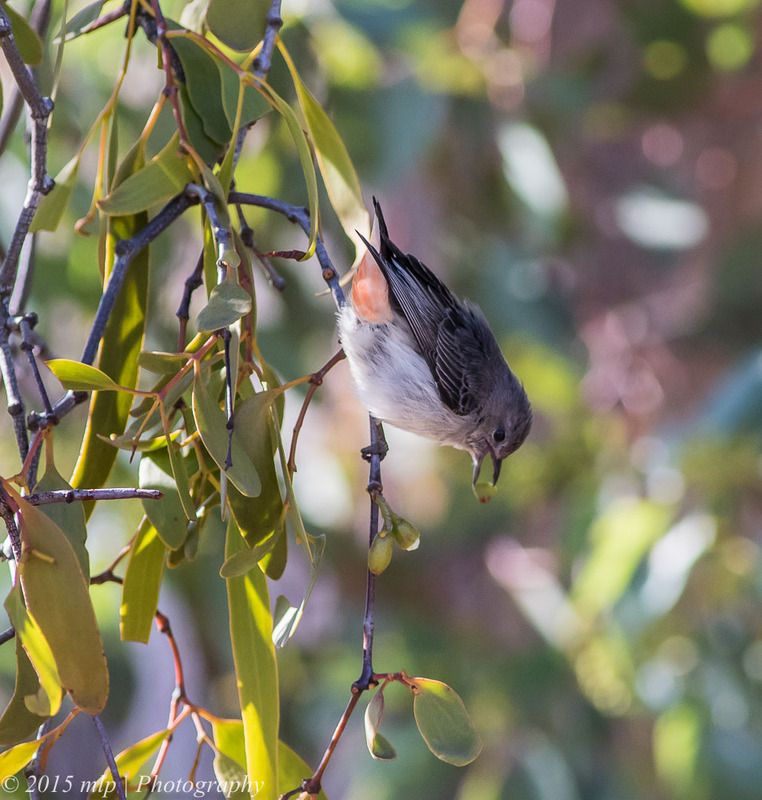 The Mistletobird has a fast digestion and processes the fruit in an amazing time (4min to 25min). We watched as one did excrete a seed and did so slowly and seemingly with purpose. 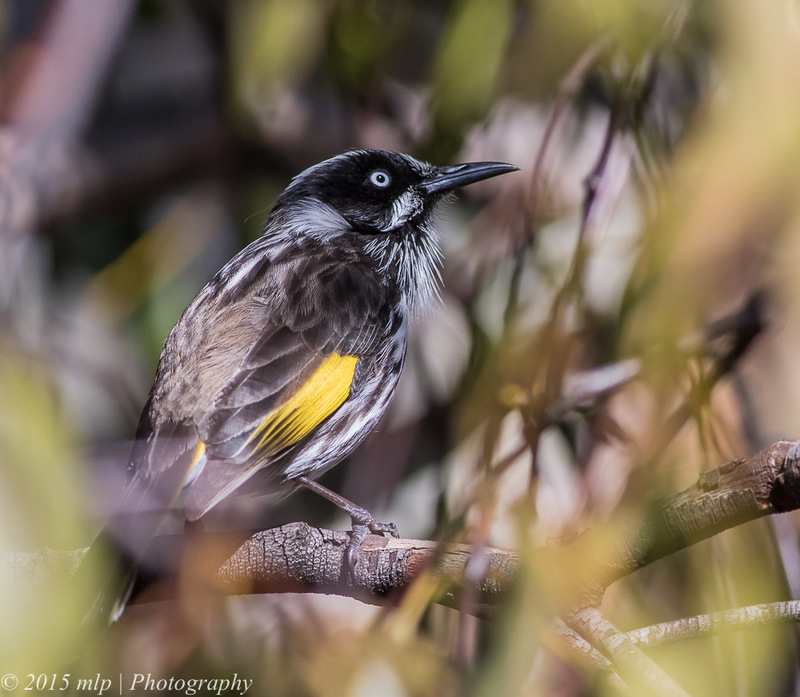 In doing a bit of research on mistletoe I found a picture where a Painted Honeyeater actually has to pull out the fruit seed from its vent as the white liquid is very sticky. 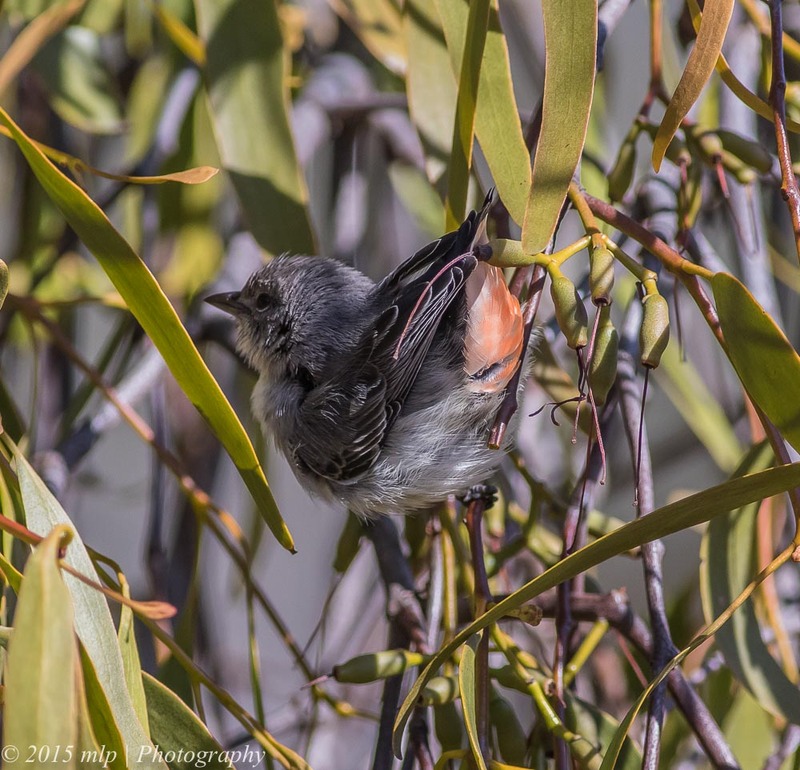 This made sense as our Mistletoebird spent a bit of time on the branch wiggling about and when it moved away there was a little mound of white secretion and the seed pods stuck to the branch. This is how the mistletoe attaches to the host branch. 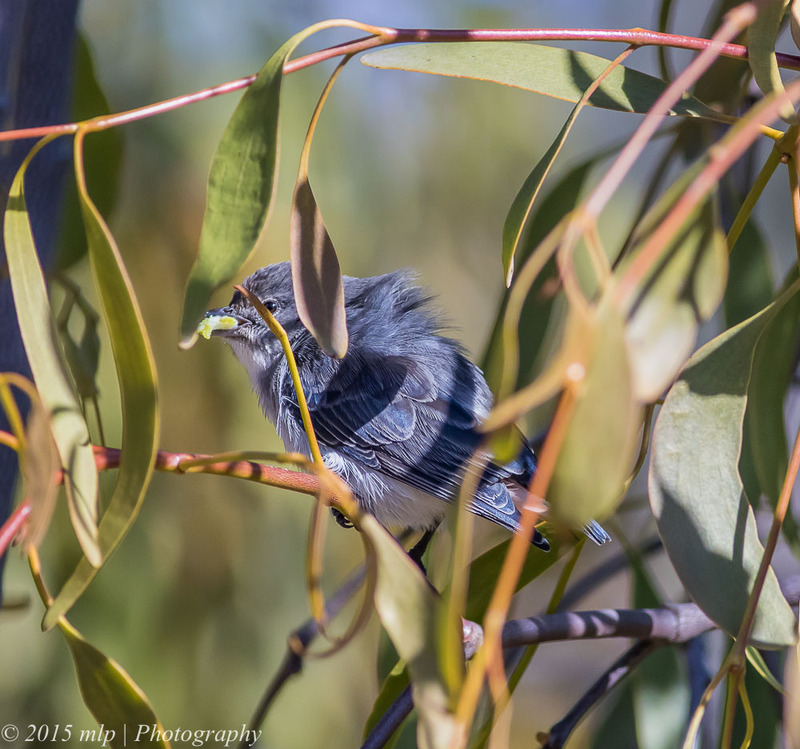 In this case the seed wont germinate successfully as it was still located on the Mistletoe bush. 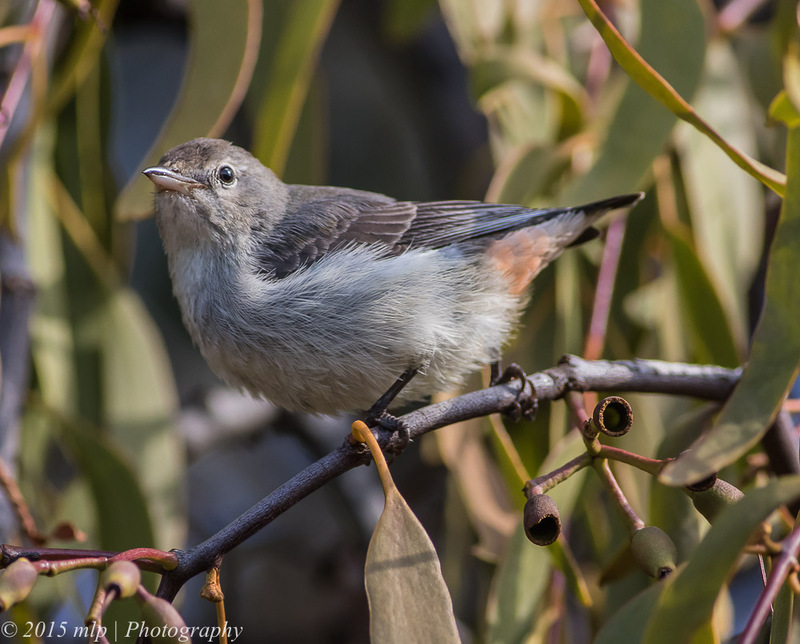 The birds we photographed were very focussed and did not seem to mind 4 blokes only a few metres away clicking away with cameras. They kept an eye on us but were not at all nervous and one spent a few minutes sunning itself. 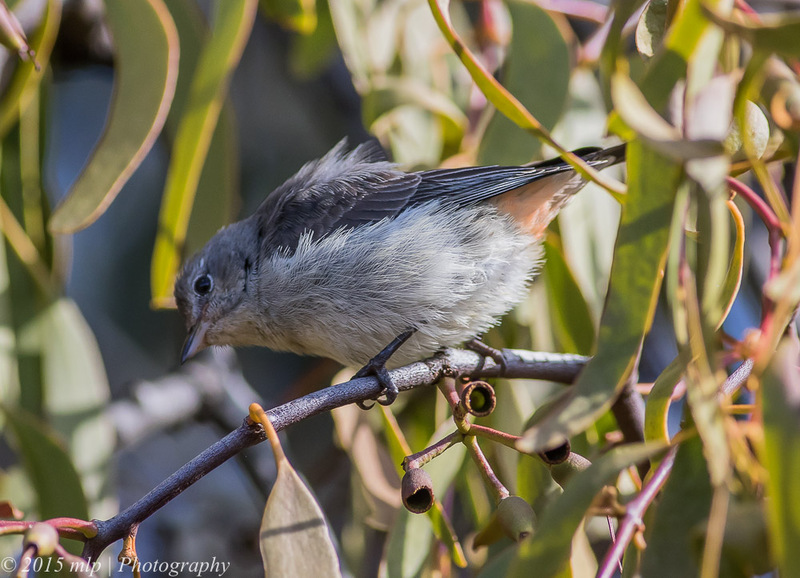 We took hundreds of shots of the little birds. 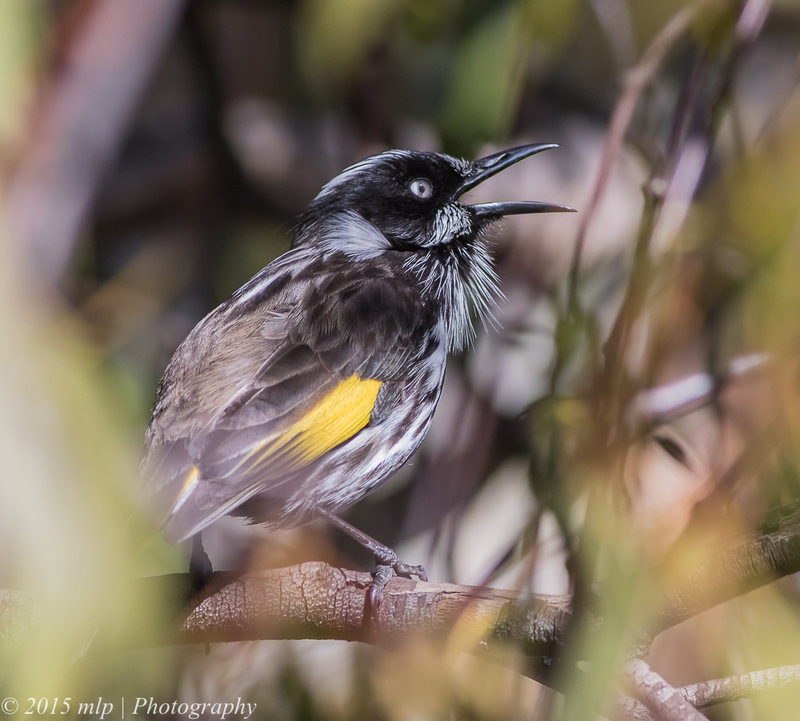 At one point a New Holland Honeyeater flew into the mistletoe bush and started to chase off the female Mistletoebird. After a flurry of wings and loud calls, each bird flew off in different directions but our little friend came back for an encore and after a few more pics we left her in peace. Spending a few moments and using the branch to remove the stick seed pod excretion. 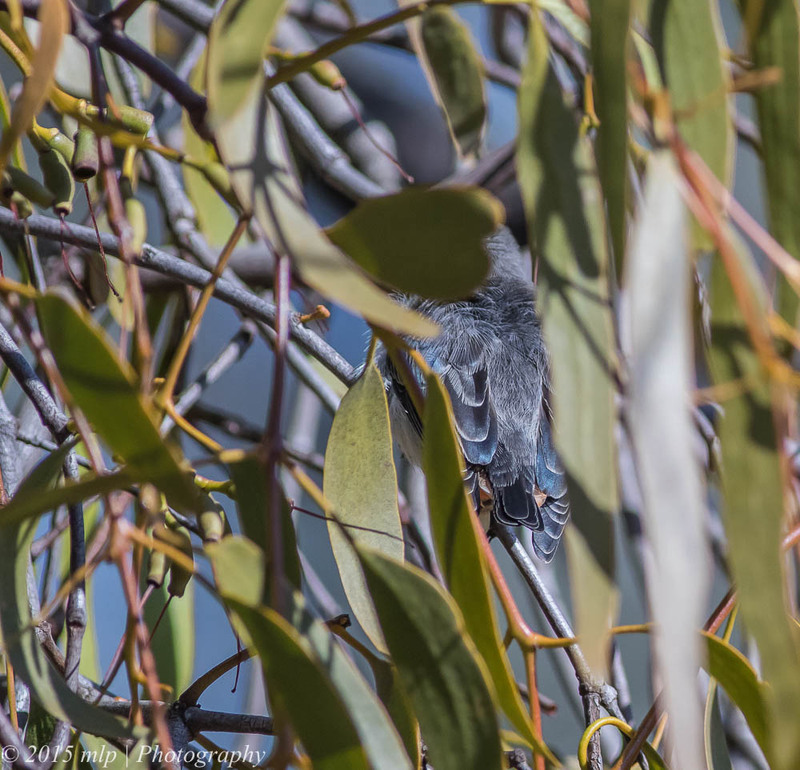 Mistletoe bird excretion with a few visible seeds stuck to the branch.